We, at Shree Mohans Karachi Sweet Mart, offer Rasgulla which are made from cowâ��s milk which is churned into fresh cottage cheese balls and are soaked in water sugar syrup. 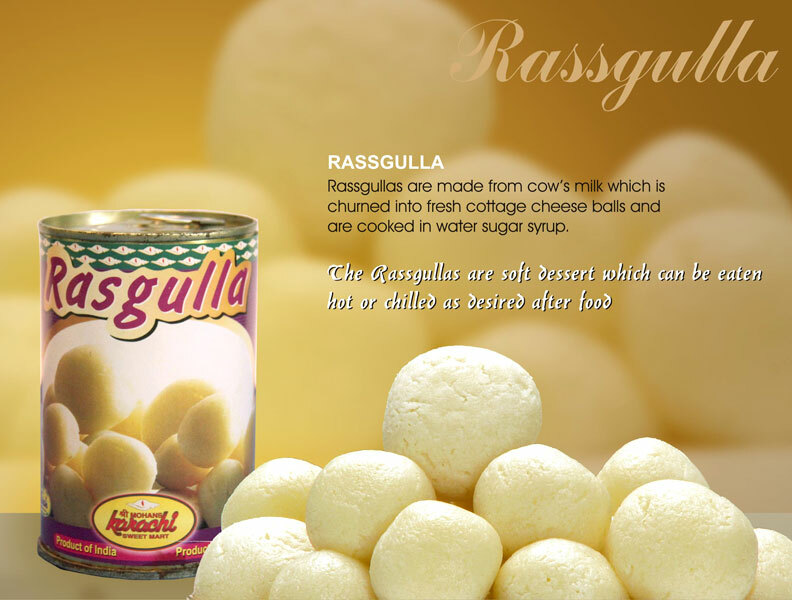 The Rassgullas are soft dessert which can be eaten hot or chilled as desired after food. We use special recipe to make authentic Indian Rasgulla. Rasgulla that we offer is a sweet that is demanded in various occasions like marriages, festivals, and pujas etc.